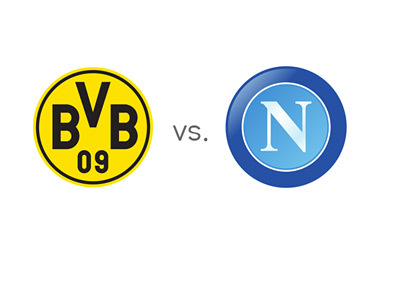 Borussia Dortmund will fight to stay alive in the UEFA Champions League spring when they host SSC Napoli, on Tuesday, November 26th, 2013, in the fifth round of matches in Group F. The game will take place at the Signal-Iduna-Park in Dortmund with the kick-off at 8:45pm. Last year's finalists, Borussia, are in a tough spot at the moment. They lost their last UCL match at home vs. Arsenal 0-1 and then went on to lose vs. Wolfsburg 2-1 and Bayern Munich 0-3 in the German Bundesliga. This match is a make it or break it game for Dortmund. Napoli are leveled with Arsenal, with nine points out of four matches, three points ahead of Dortmund. Napoli beat Marseille 3-2 at home in their last UCL match and then lost a big Serie A game vs. Juventus (3-0) and followed up with a surprise 0-1 home loss to Parma. Napoli beat Borussia on matchday one in Naples with the score of 2-1. Jurgen Klopp had a big spaz that day and was suspended for the two UCL matches that followed. Borussia Dortmund will be without Neven Subotic, Marcel Schmelzer, Ilkay Gundogan and Mats Hummels due to injuries, while Napoli will be without their star midfielder Marek Hamsik. Borussia Dortmund are the favourites to win at home. A 100 € bet on Jurgen Klopp's side could return 61 € in profit, while the same bet on Rafael Benitez's side could return 400 € in profit. The most likely scorelines on Tuesday, according to the odds, are a 2-1 victory for the hosts and the 1-1 draw, both offered at 7/1. Marco Reus and Robert Lewandowski are the favourites to score for Dortmund at 6/5 each. Gonzalo Higuai is the favourite to score for Napoli at 13/8. This is a big game for Dortmund. Only a win will do. Can they pull it off against the very solid Napoli side?